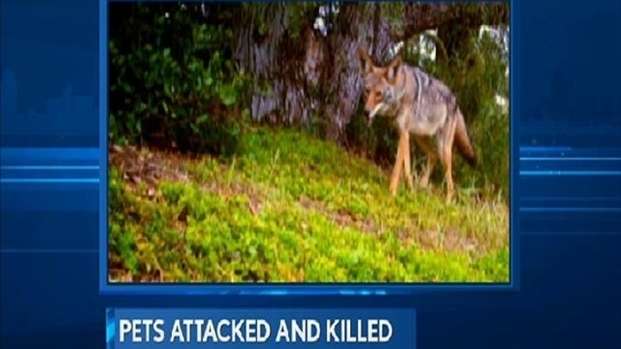 Residents in Solana Beach are growing concerned over coyotes attacking pets in their neighborhood. At least one dog has been killed. The area where the coyotes are possibly living is right next to the San Elijo Lagoon. The problem has gotten to the point where San Diego County Wildlife Services is getting involved. “There's one extra-large one that kind of looks like a wolf,” said Solana Beach resident Ken Potts. A picture of a coyote was taken with a motion sensor camera around 6 a.m. near Solana Vista Elementary School. Recently, coyotes have been stalking and hunting pets in a Solana Beach neighborhood. Wildlife Services has gotten involved in the matter. NBC 7's Nicole Gonzales reports. “It's not afraid of people; not afraid of dogs and it will hunt in the daytime,” Potts added. One of the coyotes hunted Jeanie Seager's dog while it was outside. “In a matter of 30 seconds, he came running inside. He was terrified, crying and barking. He had lacerations on both sides of his neck and he had a bite through his ear,” Seager recalled. Another neighbor who has two bigger dogs says the coyotes have sized up his pets too. Last week, his family witnessed an attack in the middle of the day. “Directly across the street, there was a coyote pulling a dog that probably weighed 20-pound, pulling it through the fence in the daylight,” Potts said. Residents are growing concerned about who the animals could harm next. “Could be a baby crawling on a blanket in the backyard, mom's in the kitchen watching him. This coyote would size up just about anything,” added Potts. 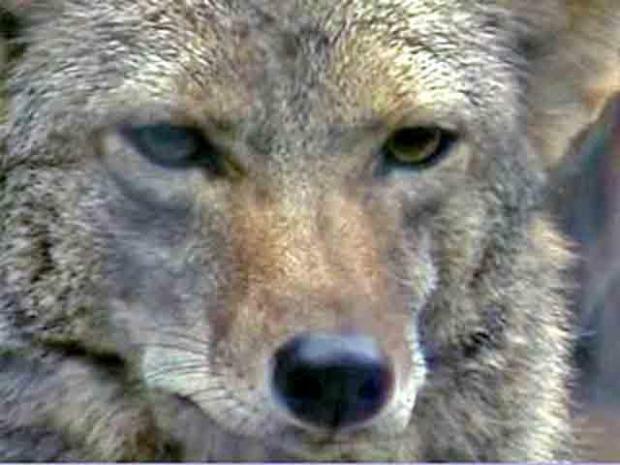 San Diego County Wildlife Services has reached out to residents, offering advice about what to do if they encounter a coyote. NBC 7 San Diego attempted to contact Wildlife Services on Friday, but calls were not immediately returned.